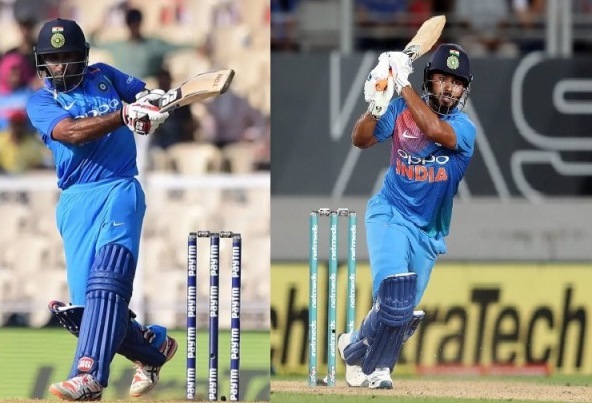 Mumbai: Young wicket-keeper Rishabh Pant and middle-oder batsman Ambati Rayudu, who were excluded from India’s 15-member squad for ICC World Cup 2019, were named among the standbys on Wednesday. Young Pace bowler Navdeep Saini also found a place in the list of three back-ups for the mega-event starting on May 30. A senior BCCI official told news agency PTI that the services of standbys will be utilised in case of injury to any member of the 15-member squad. “Just like ICC Champions Trophy, we have three standbys. Rishabh Pant and Ambati Rayudu are the first and second standbys while Saini is the bowler in the list. So if anyone gets injured, as per requirement, one of the three will be going,” a senior BCCI official told PTI. Interestingly, the development came after Rayudu took to Twitter route to take a dig at his omission from the squad of 15 on Tuesday. “Just Ordered a new set of 3d glasses to watch the world cup,” Rayudu tweeted yesterday.